Launched almost a decade and a half ago, the international war against Islamic extremism and terrorism is still far from resolution. This conflict, usually referred to as the Global War on Terror (GWOT) or, more realistically, as the Long War, is taking place on more and more fronts, perceived not only in terms of geography. The battle is also taking place in the virtual world (the Internet and social media) and in the psychological and propagandist-media dimension. Islamists are doing very well on all of these fronts, creating a reality, dictating the pace to their opponents, and winning new supporters. The current situation in the fight against radical Islam and the ideology of jihad is, therefore, less favourable than at the time of the commencement of the ‘longest of modern wars’. This makes the prospects in the fight against Islamism quite pessimistic, and countering this threat is becoming one of the most important elements of security policies and strategies of most countries. Today’s unfavourable situation in the fight against jihad is largely the result of a whole range of political and strategic errors committed by the West and especially by the United States. It is the U.S., the initiator and a driving force of the international coalition in the fight against Islamic extremism, that bears the greatest responsibility for the current state of affairs of this war. The first wrong move of the West was the very assumption that only a military approach would make sense in combating the threat of radical Islam. 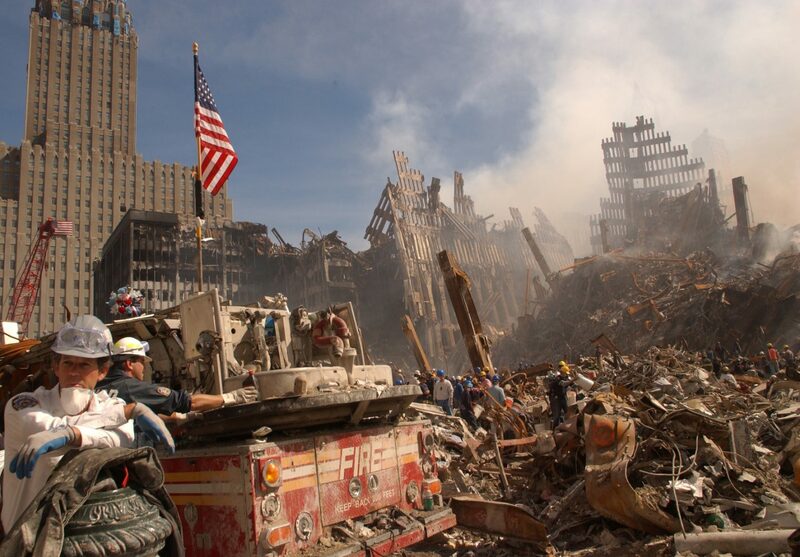 After the attacks of September 11, 2001, directly treated by Washington as an attack of a military nature, the U.S. actually imposed on a newly created anti-terrorist coalition their perspective and assessment of the situation and ways of its solution, based mainly on measures of a military nature. The American viewpoint was quickly and without discussion accepted as an obvious one by all parties who wanted to become actively involved in the fight against Islamic extremism. In the prevailing pro-war atmosphere in the U.S. no-one paid attention to the opinions of experts and scholars on Islam, who warned against solving the problem of Muslim extremism only using hard, military means. Their postulates to approach the issue of fight against Islamic radicalism, also from the economic, social and propagandist viewpoints, were not taken into consideration at the time. The future showed, however, that these warnings proved to be justified. The military approach to the fight against Islamism, which somehow necessitated the treatment of jihadists and their structures as a classical military opponent, possessing their own armed forces, territory and the reserves, proved inadequate to the reality already at the time of occupation of Afghanistan by international forces and the elimination of the Taliban regime. However, the U.S. did not correct its strategy, e.g. by allowing the possibility of using a wider range of activities, including those economic, diplomatic or within ‘soft power.’ Furthermore, Americans gave up conducting combat military operations against the remnants of the Taliban forces and militants of Al-Qaeda (‘the Base’), who were hiding on the Afghan-Pakistani border. They were content with the state of ‘victory’ they achieved in Afghanistan, and focused on stabilization and reconstruction of the country. Then they lost, among others, a chance to effectively force the Pakistani authorities to cooperate fully in the fight against Islamic radicalism within their territory. The Pentagon and the White House probably assumed then that depriving Al-Qaeda of its headquarters and logistic-organizational base in Afghanistan equals its real end. Meanwhile, the remnants of Al-Qaeda, led by its leader Osama bin Laden, found a safe haven in Pakistan (with discrete protection on the part of some of the local authorities), and began the arduous process of rebuilding its forces and resources. After one year, at the turn of 2002-2003, the forces of the Taliban movement and the ‘Base’ took up effective guerrilla warfare, directed against the government in Kabul and the international forces. The ‘unfinished business’ in Afghanistan from the years 2001-2002 took revenge on the Americans and their allies. This quickly led to a significant deterioration of the security situation in Afghanistan, and ruining the chances of stabilizing the country. Anti-terrorist coalition forces got stuck in the Hindu Kush in the lengthy, bloody and devastating asymmetric campaign, with no prospect of victory. The premature completion of the ISAF mission in 2014 in a deteriorating security situation in Afghanistan, leaving the Afghan security forces without proper training/preparation to fulfil tasks by themselves, has become only a confirmation of earlier concerns that the allies would not manage to bring full governance in this country. The process of rebuilding the structures of Al-Qaeda in the Afghanistan-Pakistan region after 2002 would have probably been much longer and more difficult, if it had not been for beneficial series of coincidences for the Islamists. The most important of them, and most influential over geopolitical implications was in 2003 when the U.S. shifted almost the entire strategic attention to a completely different theatre of activities, namely Iraq. The operation ‘Iraqi Freedom’, adopted on the basis of strongly idealised assumptions and strategic objectives, has become the biggest mistake in the war against Islamic extremism and terrorism. U.S. involvement in Iraq, planned as ‘quick, easy and short’, was in fact a factor that ultimately only strengthened the jihadist movement. Military presence in Iraq, extending over many years, drew together and escalated religious fanaticism and ideological-political extremism of Muslims from around the region. Eventually, it became a catalyst for many negative processes in the Middle East (such as the emergence of extremist organization – the Islamic State of Iraq and the Levant, a precursor of today’s Islamic State), the consequences of which the West and the countries of the region are facing today. Another fatal mistake, whose negative consequences for the fate of the war against Islamic extremism have not yet fully emerged, is the unconditional and uncritical support given by Western countries to the so-called democratic revolutions in several countries of the Middle East and North Africa. The series of revolts and social unrests started in 2010-2011 in this part of the world immediately met with political support of major Western countries. In the case of Libya, the support of the West manifested itself also in the military sphere, including the involvement of NATO forces and structures. Contrary to the expectations of Western elites, revolutions in the Arab countries of the Middle East and North Africa have not led to the creation of democratic governments and to the related development of human and civil rights. On the contrary, most of the countries included by the so-called Arab Spring (for the time being, except Tunisia) have fallen in the chaos of bloody civil wars, or at least have been going through serious internal tensions and socio-political conflicts. To make matters worse, both the Afghan and Iraq campaigns have become symbols of American (and also more broadly Western) militarism and expansionism in the region of Middle East. For radical Muslims they were also evident manifestations of oppression in the religious dimension, another ‘infidel crusades’ against Islam. Afghanistan and Iraq, and later, Yemen, Libya and Syria have become fronts of the struggle waged in the name of jihad. These places have begun to attract thousands of radicals, not only from the Islamic world, but also from Western countries. The volunteers of the ‘holy war’ undergo military terrorism and ideological-religious trainings there, acquiring experience and skills useful in combat. Many of them return later to their countries, carrying the seeds of Islamic extremism and terrorism. In this way, the ideology of jihad – even two decades ago, having in fact the nature of the exclusive ‘religion for insiders’, limited to a relatively small group operating in secret (mainly in Muslim countries) – began to spread vividly across the world in the middle of the last decade. Also, in Western countries Islamist cells began to form, composed of radical Muslims who live there, which was a novelty in the jihadist structures’ activities operating in Western countries. So far, their activities were conducted almost exclusively by fighters arriving from outside who had specific tasks to perform. This was the case of the terrorist attacks in the U.S. in 2001 and Spain in 2004. Today, the threat of Islamic terrorism in the West comes mainly ‘from the inside’. The first example of this change was the London bombings in July 2005, conducted by ‘local’ Muslims from materially and socially well-established families living in England for generations. The most recent examples (among the many) of internal threats of this type are terrorist operations undertaken by the Tsarnaev brothers in Boston (2013) and the Kouachi brothers in Paris (2015). In each of these cases citizens of these countries carried out the attacks. In each of these cases the incident was a surprise to local security forces. The spread of the ideology of radical Sunni Islam, with the advent in 2014 of a new, much more violent jihadist structures in the form of the so-called Islamic State (IS) and its caliphate, are an entirely new quality in the war against Islamic fundamentalism. We are undoubtedly dealing with a breakthrough in several years of the war. Western countries face a real growth of terrorist threat from Islamic radicals. It is the threat of a completely new character, different from the current one, because it comes from the inside, from the Muslim communities living in Western countries and seemingly already assimilated. This danger is all the greater because in practice there is no way to prevent it; the activities of individual ‘shaheeds’ or small extremist groups are almost impossible to detect by the security forces. Moreover, such a situation will inevitably result in a tightening of anti-terrorism policies and introducing preventive measures from the competent authorities and security services of Western countries. The change in strategy and tactics of Islamic radicals, especially those related ideologically and organizationally with the IS, must elicit an appropriate response from security forces. One of the most visible and noticeable every day effects of such changes will be a further restriction of freedoms and civil liberties of ordinary residents of the U.S. and European countries (especially the EU). The increased efficiency of terrorists also means increasing the powers of the services and institutions managing state security. This will result in intensification of the use of such controversial methods and measures, such as surveillance, wiretapping, etc. Of course, Muslim communities living in Western countries will be one of the first targets of the enhanced surveillance. This will only reinforce their sense of alienation, and increase the vulnerability of their members towards radical slogans and ideologies. The Western states should rapidly adapt the strategy of combating Islamism to the current reality. After 14 years of struggle it can be seen that, in addition to military action, there are other things required, such as: increased effort in the field of psychological, propagandist and media warfare, (especially using social media), as well as in the form of comprehensive economic, socio-cultural and political actions. The West, particularly countries in the European Union, should employ a realistic policy and strategy in the Middle East region (and more broadly, the entire world of Islam), based on factual processes taking place in these parts of the world. Indiscriminate support for every ‘democratic revolution’ in the Middle East and sticking to the axiom of establishing democracy, seem in the present circumstances an action devoid of rational basis, and what is more, contrary to the interests and objectives of the West. As demonstrated by the example of Egypt, real democracy in this part of the world may mean the power of Islamic radicals gained through the ballot box. On the other hand the case of Tunisia shows that excessive liberalization of laws and policies in the spirit of lofty slogans of democracy facilitate the activities of Islamic fanatics, as a result increasing the level of terrorist threats. In such a reality the importance of a dialogue with moderate Muslim communities is growing, both those working among the Islamic diaspora in the West and in the Islamic world. It is undoubtedly a difficult and complicated process, but it is impossible to ignore these kinds of attempts to establish understanding and cooperation in the fight against religious radicalism among the followers of Allah. Western countries, mainly European ones, should also intensify efforts to neutralise threats within their borders coming from the so-called home-grown terrorists, Muslims who live in the West, and, having gone through religious and ideological radicalization, become extremists and terrorists. Fighting against ‘terrorism tourism’ to the Middle East also falls within this dimension of the strategy against Islamism. This should be done by enhancing cooperation between the relevant services and institutions (e.g. within the EU) and developing full exchange of information between the countries concerned. The EU must focus on a common fight against the terrorist threat, otherwise attacks such as those in Paris or Copenhagen will occur in Europe more often.